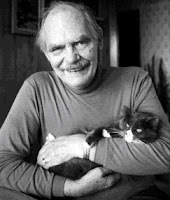 Frederik Pohl is 91 years old, and writes a blog, which I only discovered today and therefore have very little to say about it. I read the entries tagged 'Gateway', the only book of his I've read, which won the Hugo award in 1978. Pohl's won the Hugo for other things 3 times, and has a large body of work both as a writer and editor. I've snapped up several of his 'Heechee Saga' (Gateway is the first) books at used bookstores, but thanks to the lure of television I am practically illiterate, so they've just gathered dust for years. 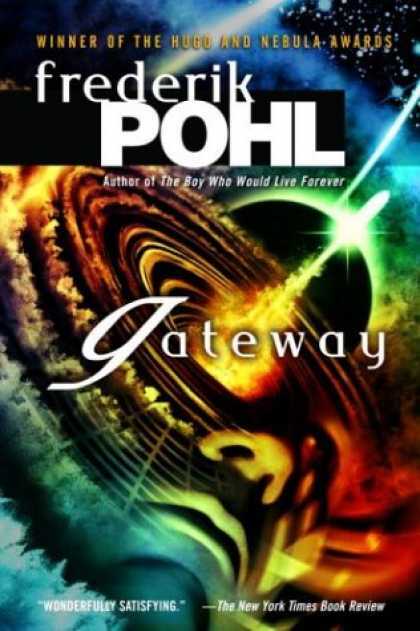 Ancient treasures like Pohl and his books are the subject of 'Gateway', along with the wonder and terror of extremely dangerous space travel. Picture this: an asteroid was left behind in our solar system eons ago by an advanced culture called the Heechee, about whom almost nothing is known. The asteroid, called Gateway, is a thriving destination for desperately insane prospectors struggling to survive on overpopulated Earth. Gateway is riddled with little automated interstellar spaceships that still... work. Kind of. Humans are dangerously underqualified to run these spaceships, but that's fine because nobody's qualified but the Heechee- and they're gone. It works like a Vegas slot machine: get in the ship, pull the lever, and you takes your chances. Two thirds of the people who get in the ships die- of starvation, radiation, deadly destinations, who-the-hell knows and other. Less than a third make it back to Gateway... but the lucky ones make themselves and Gateway Corporation filthy rich by discovering livable worlds, advanced technology, or other such doodads. This was a great concept and an exciting read, with very human characters and certain inescapable tragedies. Despite my preference for happy endings, I gave it 4 stars out of 5 on goodreads for some reason. It's good, is what I'm saying. I'll be drawn back to the sequels someday- I never know what I'll get but I just can't resist the gamble.